A couple of years ago, I volunteered with the Peninsula Animal Aid (PAA) in Clontarf, Queensland. It was a wonderful experience which allowed me to see first hand the many difficult situations and reasons why people may have to let their beloved pets be rehomed. 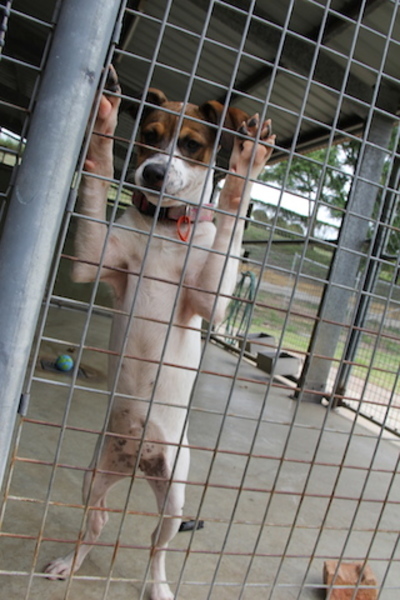 The shelter cares for Cats and Dogs. Every year there are numerous kittens that arrive due to breeding and a lack of desexing in the community of our feline friends. This is an ongoing issue in the community. Many adult cats were waiting for adoption and it was great when families came in to give a home to an older cat as I found it heartbreaking to see them waiting for so long while kittens were homed quickly. Although, I understand why many people would choose a kitten over a mature cat. But if you want a companion that has been through the 'terrible twos', then a mature companion is a much better choice. There weren't as many puppies as I recall, however, they did come along from time to time. But these things do change and if you go to the PAA website's Wish List, you will see that they do have a need for puppy food. When I volunteered with PAA puppies were in Foster Care to keep them safe and give them the best chance at a normal life. I have great respect for the Volunteers of the Peninsula Animal Aid who care so much about our furry friends and are tirelessly dedicated to their welfare, safety and finding a 'fur-ever' home. Unfortunately, I am no longer in a position to volunteer due to a health condition but I do still support this not-for-profit organisation. 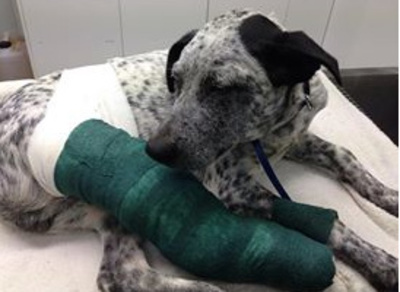 At the moment, there is a 6 month old Australian Cattle Dog who was hit by a car. He is now in their care, but the cost of surgery is very high. Ash came to PAA as his family no longer being able to keep him due to illness and not enough money to care for his surgery needs. This little man was surrendered to PAA where he was admitted to the Greencross Vet in Inala for immediate surgery on his broken leg. This little guy has a great personality and gives lots of cuddles and he deserves a great fur-ever home. 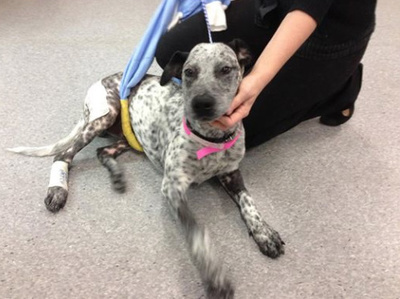 But at this point in time, PAA are raising money to cover the costs of Ash's surgery which has mounted to $5,500. This commitment to the care of this pup can only be made thanks to the generous supporters who donate to a special fund for his care. If you want to give to help this little guy with his surgery bills and be well again to meet a new family, you can donate here. All donations are tax deductible and receipts will be sent if you provide your details. Every cent counts, so no donation is too small. Buy and donate items from their Wish List. Every single little action helps a life in need.